This is August Jansson with his wife and daughter. 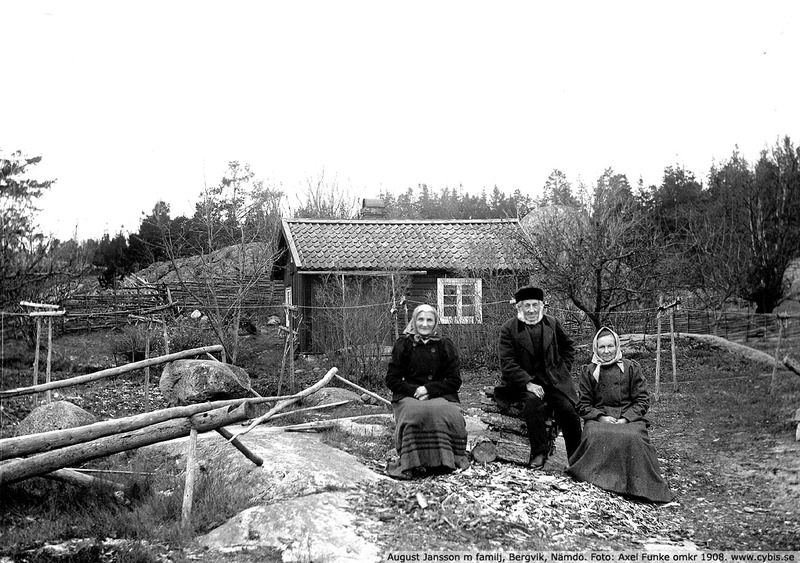 The photo was taken by the schoolteacher, Axel Funke, probably around 1908. 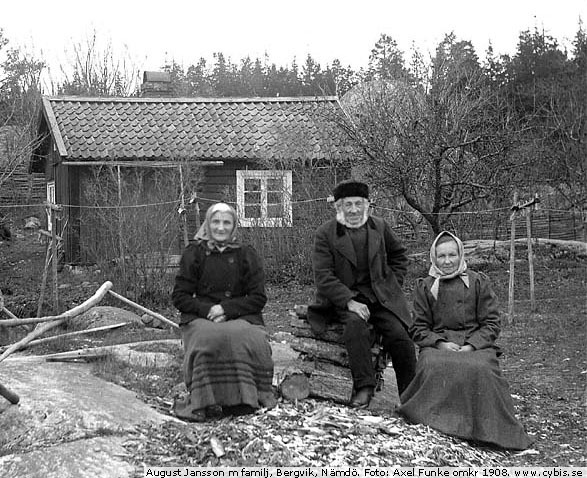 August Jansson was the sexton at the church of Nämdö for 60 years. In the background you can see his house. In 1998 a new owner decided to repair the house. But the house was found to be in very bad condition with extensive old attacks of house longhorn beetle and of the smaller Annobium punctatum. So the owner decided to demolish the house. A new similar house was built on the same place. I took several samples from the old house. They were indeed infested with mildew and probably unhealthy to work with! 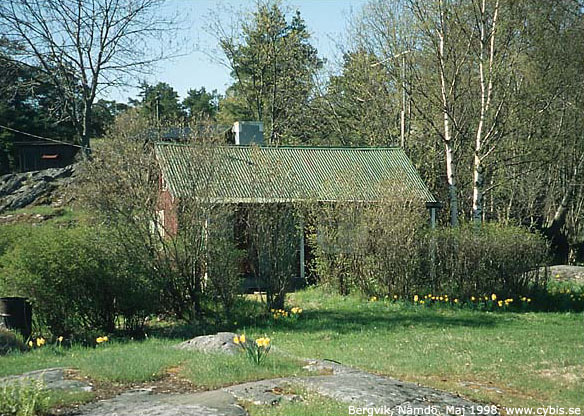 The dendrochonological analysis revealed that the house was built by logs cut in the winter season 1875/76. This fits in with the local history. The old church at Nämdö was located quite a long way from here. A new church was opened near this place in 1876, the same year as this house was built for the sexton. Ring width data is available within the ITRDB:swed302.rwl collection with sample names starting with "NMBS".